Singapore was ranked number 1 among 57 countries in health efficiency, according to an annual ranking compiled by Bloomberg. The healthcare system is growing exponentially from now until 2030 and now is the time to enjoy all of the benefits of furthering your career in an international environment, in a forward thinking, English speaking country. 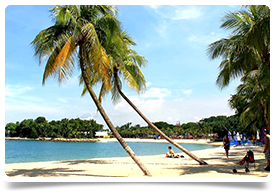 Singapore offers a true feel of all that South East Asia has to offer while providing world-class services you would expect to find in Europe’s top cities. A very low tax rate or 12.5% - 15% – that means more income left over for you to spend! Please note that the career path for a specialist in Singapore follows Associate consultant, Consultant and Senior consultant. We are supporting with hiring of specialists at Associate Consultant and Consultant level Singapore’s population is highly diverse; with a patient flow of Chinese, Malay, Indian and westerners as regular clientele, cultural appreciation is required. Singapore is a cosmopolitan city populated with high-rise buildings and landscape gardens. Brimming with a harmonious blend of culture, cuisine, arts and architecture, Singapore is a dynamic city that’s rich in contrast and colour that embodies the finest of both East and West. There are numerous shopping malls, museums, and dining and entertainment hotspots to choose from. Alternatively, you could choose to discover Singapore’s old world charm. You can explore and experience the island’s key historical landmarks or memorials or you could embark on a heritage trail and enjoy the sights and sounds at various cultural precincts, notably Chinatown, Little India and Kampong Glam.